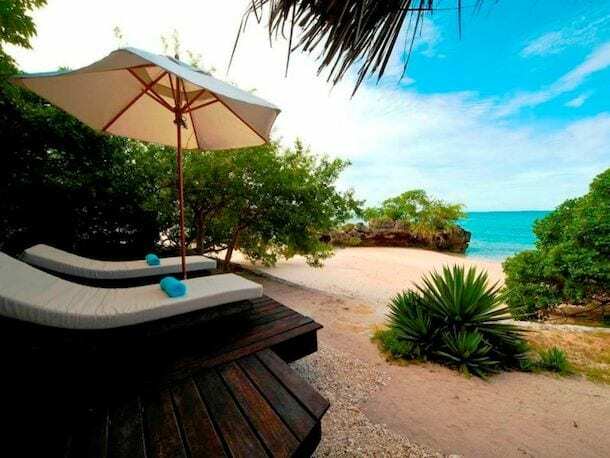 Quilálea Private Island is an idyllic Mozambique island nestling in a forgotten corner of Mozambique’s Quirimbas Archipelago in the tropical Indian Ocean. Completely uninhabited, this Indian Ocean island offers complete exclusivity and unparalleled natural beauty. Azura Quilálea’s nine private villas each offer magnificent sea views, providing a haven of luxury island accommodation. 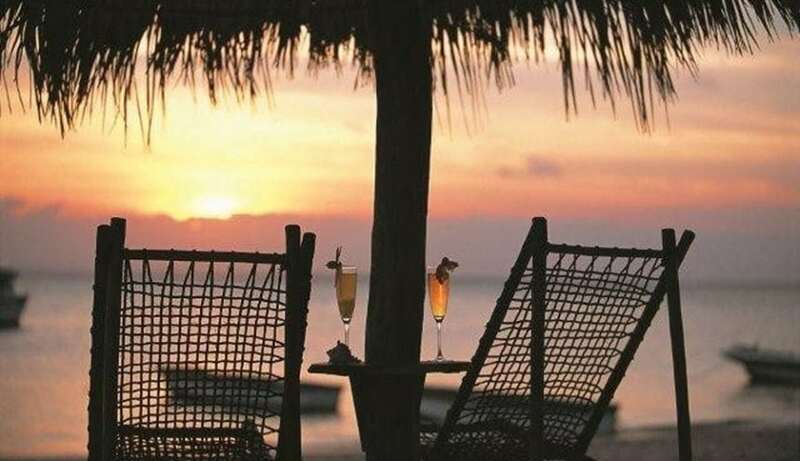 Surrounded by the sparkling, azure waters of the warm Indian Ocean, Azura Quilálea is the ideal honeymoon destination for those in search of the perfect romantic island getaway, or the ultimate holiday for those in need of relaxation, adventure and rediscovery. 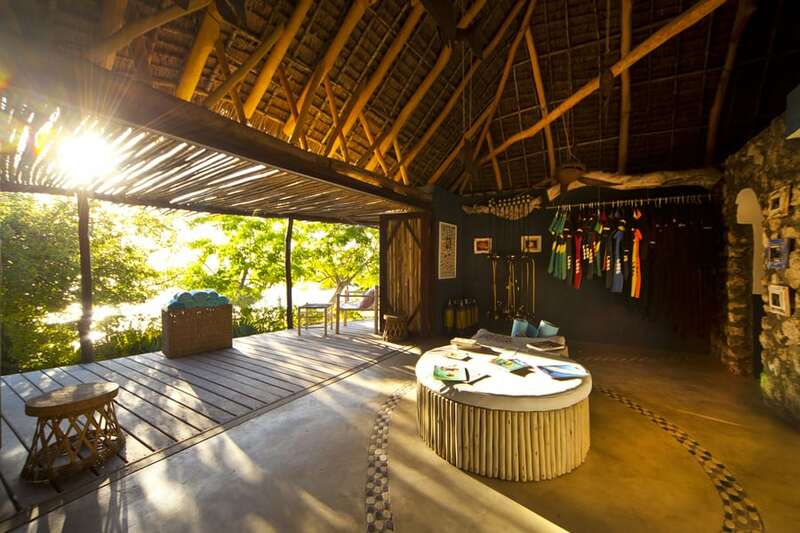 Azura at Quilálea is the second luxury Indian Ocean retreat from Christopher and Stella Bettany. 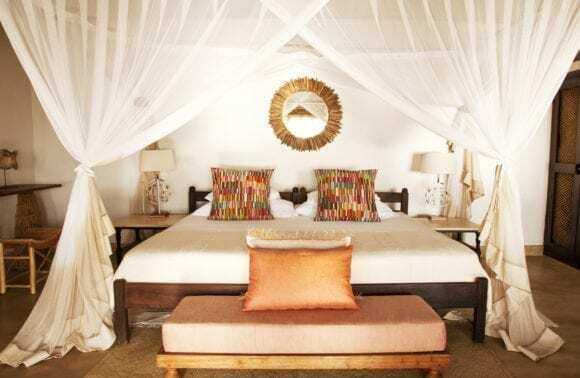 Just as the name suggests, it brings Azura’s trademark African-chic style to Quilálea Island, a private, wholly uninhabited island paradise surrounded by the pristine waters of a marine sanctuary. The vision is to provide the ultimate in private luxury hideaways in stunning undiscovered destinations. 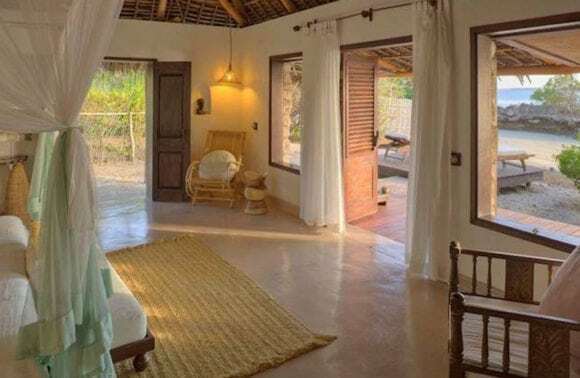 Azura at Quilálea is a hidden gem, somewhere to retreat from the hustle and bustle of daily life, with a relaxed and understated ‘Robinson Crusoe’ castaway style that belies the comforts and experiences on offer. Attention to detail, as ever with Azura, is paramount in the design, the finishes, and the overall wow factor of the island experience. Azura at Quilálea is an Eco-Boutique Retreat. 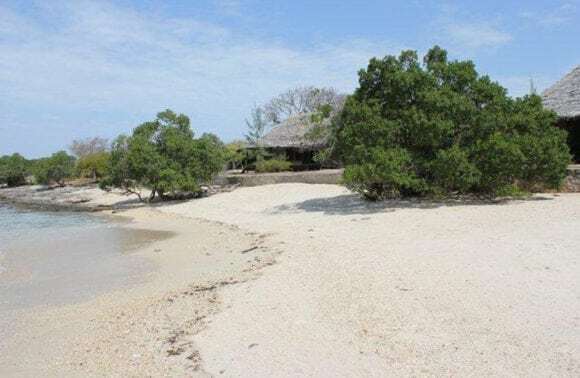 Whilst the Quirimbas Archipelago stretch from Pemba to the Northern border with Tanzania, only the very southern part of the archipelago, where Quilálea is located, forms a fully protected marine sanctuary. Conscious of this pristine natural environment and the need to preserve it, Azura at Quilálea has embarked on a unique energy saving project, whereby solar power, wind generation, rainwater harvesting, and eco-friendly rechargeable crystal batteries are used in combination with normal generators and desalination to provide the island’s power and water. The aim is for all basic functions to run without the need to switch on generators for lengthy periods, and also to switch generators off completely at night to ensure maximum tranquility for our guests. Uniquely at Azura at Quilálea, guests can control their own energy consumption through a wall switch at their villa. They can opt for ‘ECO’ or ‘LUXE’, Eco resulting in power for the bare minimum requirements for the room, such as basic lighting and fan, or Luxe providing all mod cons including Aircon. In keeping with the uninhabited nature of the island, the retreat consists of only nine seafront villas, accommodating eighteen guests. 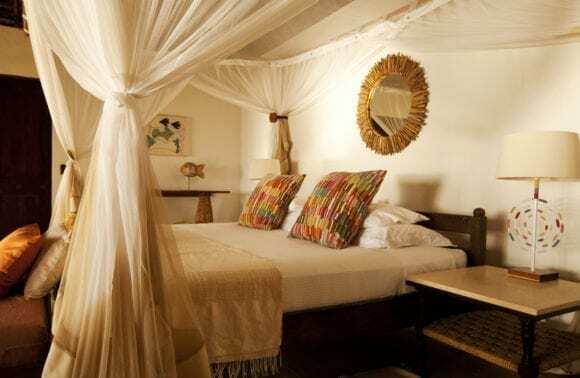 The villas are built from natural coral stone and makuti thatch, and have all been revamped to increase comfort and make better use of the interior space, with natural finishings, indoor/outdoor showers, private decks stretching out to the beach, daybeds and sun-loungers for relaxing. 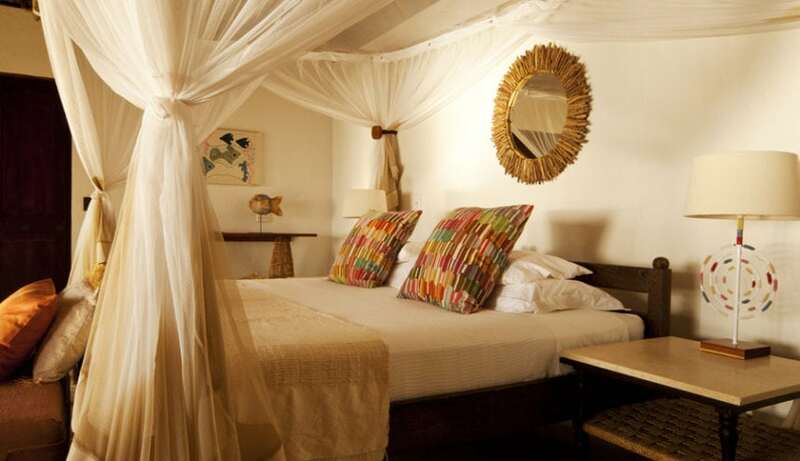 Guests can choose between three categories of villa: 4 Kaskazi Villas, 4 Kusi Villas, and Villa Quilálea. 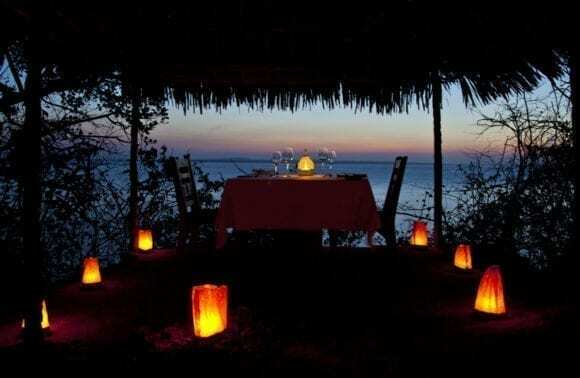 The island may also be booked out in its entirety for a complete private island experience. 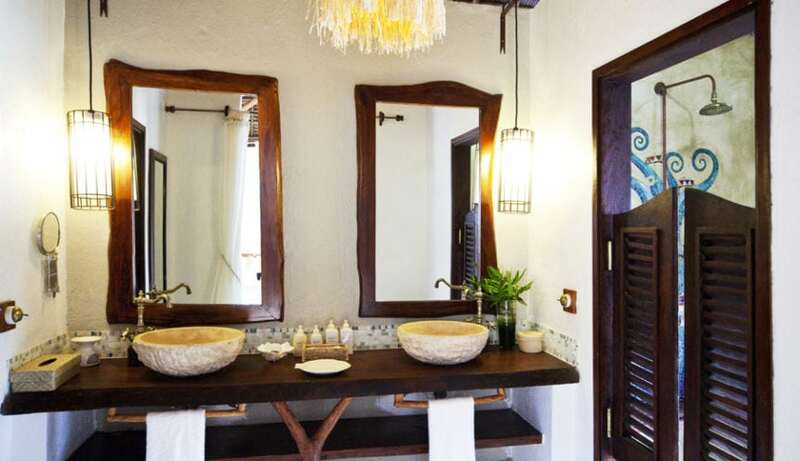 Kusi Villas have the premium locations, with an additional outdoor shower and beach sala, with private plunge pool! 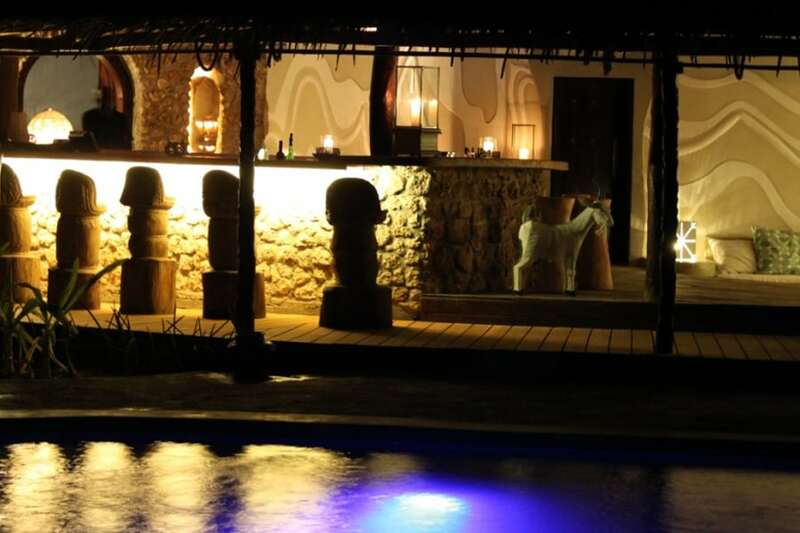 The cliff-top Villa Quilálea offers the most amazing accommodation for a couple in the whole archipelago, with a private plunge pool, feature bathroom & dressing room, an outdoor shower, and its own separate sitting/dining area. 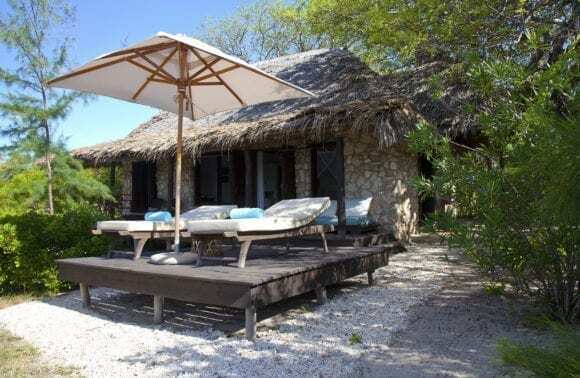 The villas are open-plan and spacious, with stylish décors of wood, cotton and materials such as rope, pebbles and rattan, all blending in seamlessly with the island surroundings. 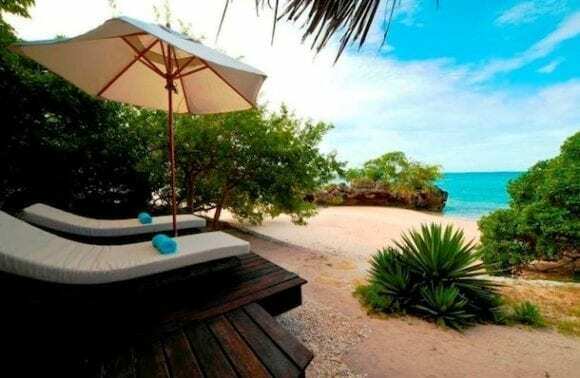 Guests need only take a few steps to the gleaming white beach, or they may choose to bask on their sunlounger, recline in their sala, or cool off in their outdoor shower. All of the villas have a unique energy control system whereby guests can take control of their own eco-footprint. All mod cons are there if desired, including mini bar and air-conditioning, or guests can throw their villa open to being air-cooled by the natural breezes.Villas can be configured as kingsize or twin, with oversized mosquito net and feature bathrooms, including indoor/outdoor showers, double vanities and separate toilet/bidet. Outdoors there are daybeds on the deck and sun loungers. The Kusi Villas now have private plunge pools as well! 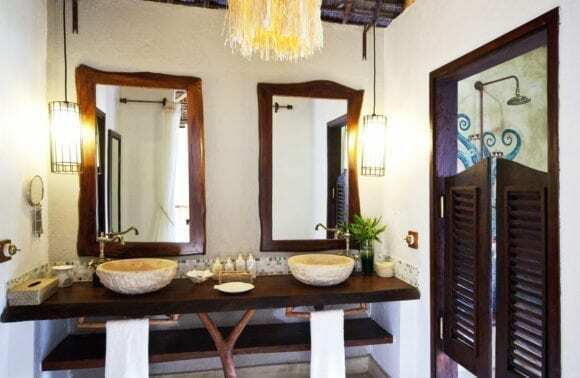 Villa Quilálea additionally has a feature bathroom with free-standing bath and separate dressing room, a romantic draped Kingsize 4 poster bed, and enlarged sitting area. It also has a private infinity pool, sitting/dining area, extended decking and relaxation areas, and a stunningly private location, including ocean access from a clifftop stepladder. Each ‘public’ area of the retreat is designed with its own particular ethos in mind, creating unique vibes and experiences out of which guests will find their own favourite haven, be it a hammock under the trees, a perch at the bar, or a dip in the main feature pool.The main bar/pool area has been substantially reconfigured, including a chill zone with large cushions for lazing around. 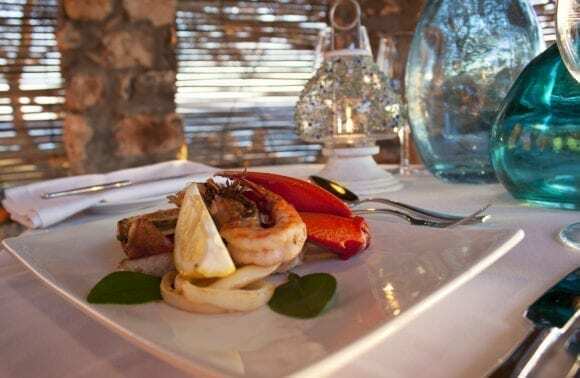 The kitchen has been completely re-designed and fitted with state of the art equipment, to provide the standard of cuisine that Azura is famous for, and the Dining Room has an all new Wine Cellar for private dining and to showcase the owner’s wines. There is also an all new fully equipped Padi Dive and Watersports Centre, and TV and media room for those who want to stay in touch, and a Boutique with local crafts and designer beachwear. 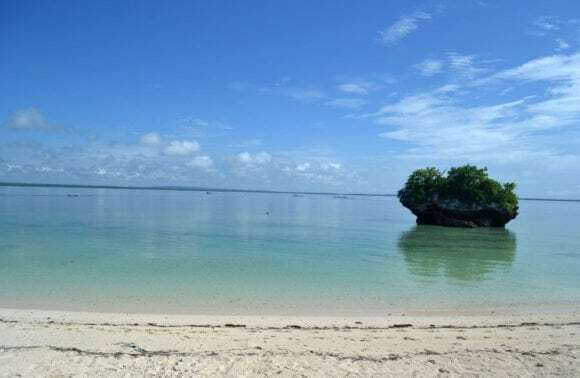 Quilálea Island is one of the Southernmost islands in the pristine Quirimbas Archipelago, 30 nautical miles North of Pemba. It has one of only a few safe deepwater moorings in the area, where the Portuguese and Arab traders traditionally found sanctuary for their dhows. 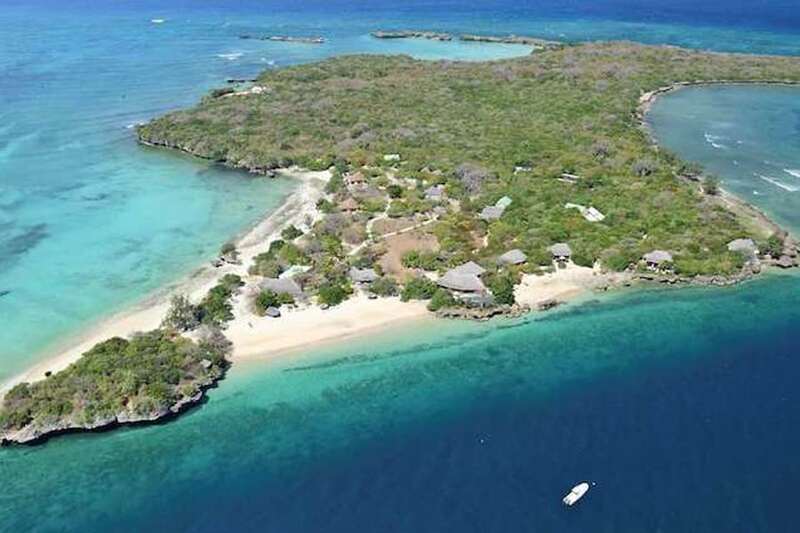 Along with its sister island Sencar, it is one of the few properties in the entire Archipelago to lie within a fully protected marine reserve, ensuring an abundance of marine life. The island is approximately 86 acres in size, and apart from Azura at Quilálea staff and guests, it is completely uninhabited. 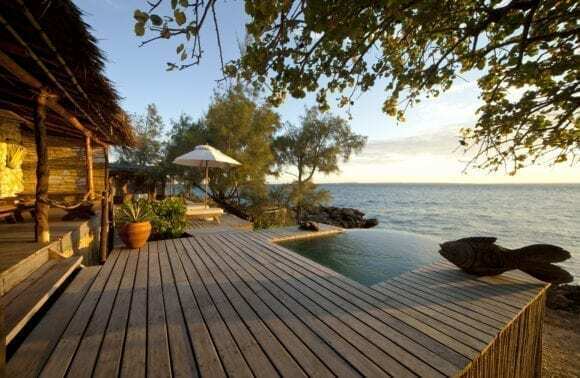 The island is covered in indigenous vegetation, with statuesque age old baobab groves and stunning flora and fauna, a real nature lowers paradise. 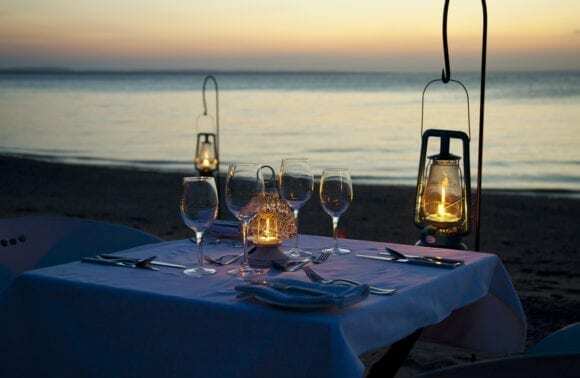 There are 4 large sandy beaches on the island, the villas are spread along 2 of them, the main beach always has boat access, and remote and beautiful turtle beach is home to dozens of nesting turtles and is an excellent spot for a private picnic lunch. It’s just as amazing below the sea, with snorkeling accessible off the beaches and around most of the island, patrolled by huge potato bass and schools of hunting jacks, and a spectacular house reef for diving just a short fin kick away from the main beach. This is paradise for lovers of marine life and marine experiences. Azura at Quilálea is hot and humid year round, with long sunny days and temperatures rarely below 24 degrees day and night. 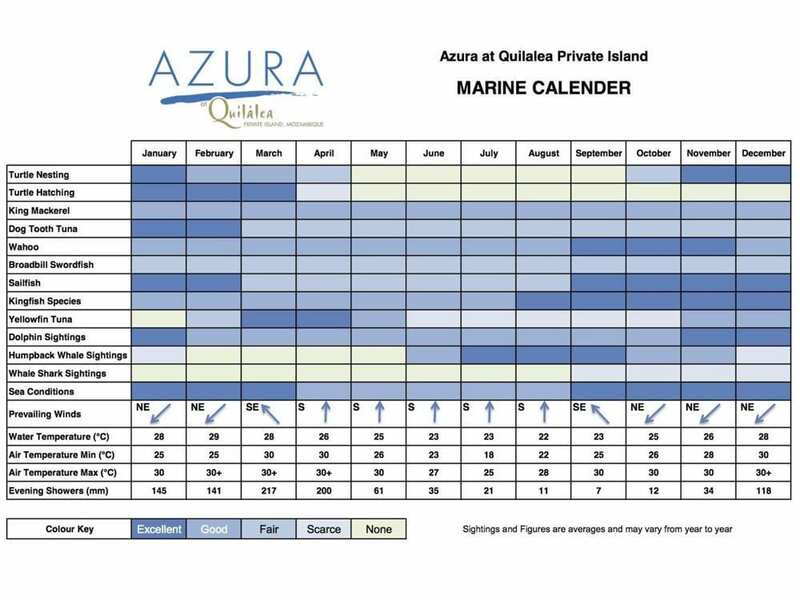 Trade winds do bring cooling breezes, North Easterly from October to March with the chance of some showers, and the slightly stronger but dry South Easterly trade wind from April to September. The villas are positioned to take best advantage of the natural breezes.Rainy season: ‘Mango Rains’ commence in late October, bringing occasional light showers. Jan – March are hot and humid months, where temperatures often hit 35 degrees+, with tropical rainbursts, most often in the late afternoons or overnight bringing welcome relief from the heat. April to October are normally hot and dry months. Weather patterns globally are changing, and rains in the past couple of years have become more unpredictable, with the rainy season having become shorter and later most recently. This is however no predictor of future weather patterns! The water temperature is warm year round and ranges from 28-32 degrees +. 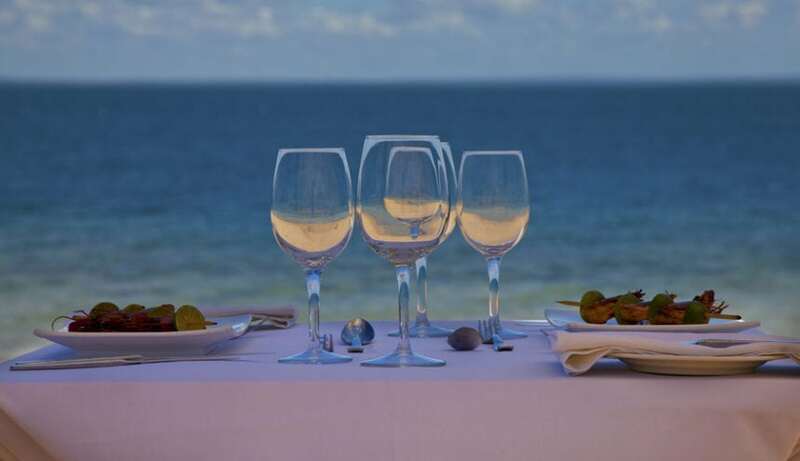 Cuisine at Quilálea is focused around the natural produce available locally, in line with the island’s ‘Eco Ethos’. 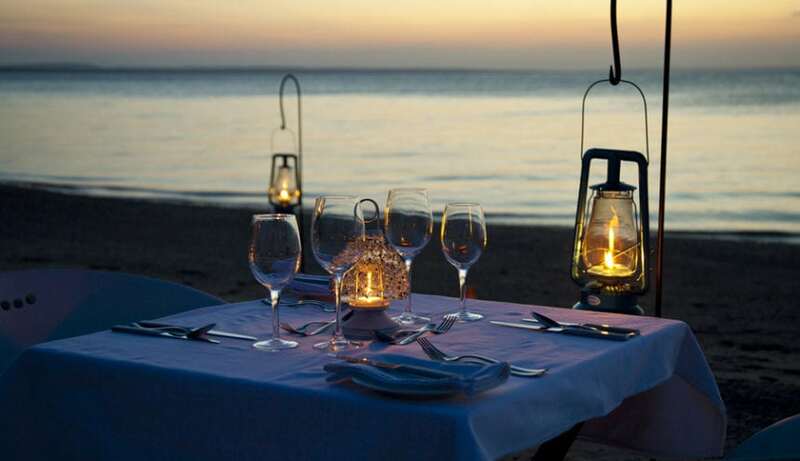 Lots of fresh fish and seafood dominate the menu, with dining a relaxed and laid back affair. 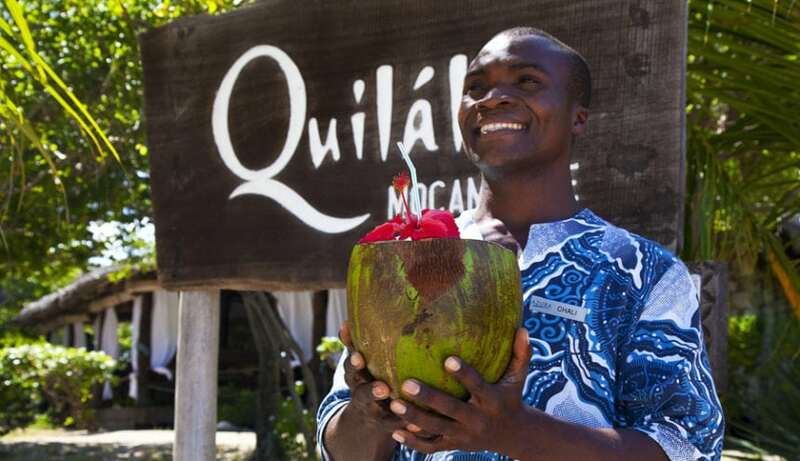 Guests receive Azura’s trademark Mozambican Butler/Host service, where they try to make the dining experiences different through a range of unique and special venues and set-ups. Should you have particular dietary requirements it is advisable to alert us as far in advance as possible, as some specialist ingredients may take time for us to procure. 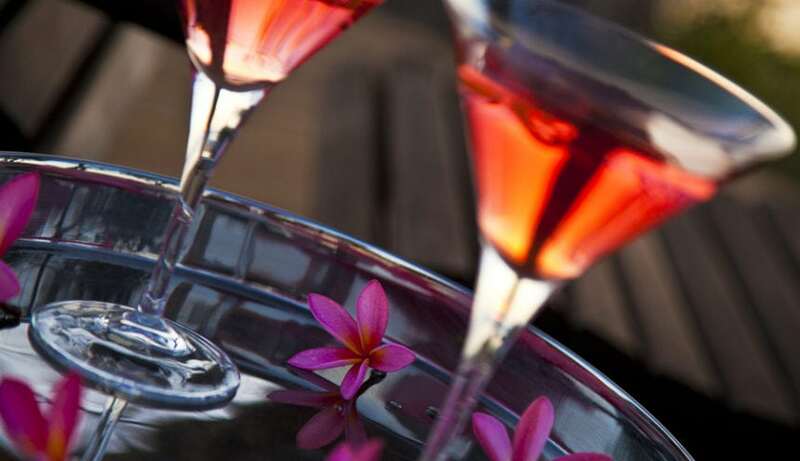 For the wine connoisseur, there is a wine cellar stocked with fine wines from the owner’s 5 estates, as well as wines from Azura’s own Chateau flown in from France’s Loire Valley. The wine cellar makes an excellent venue for a more formal private dining experience. 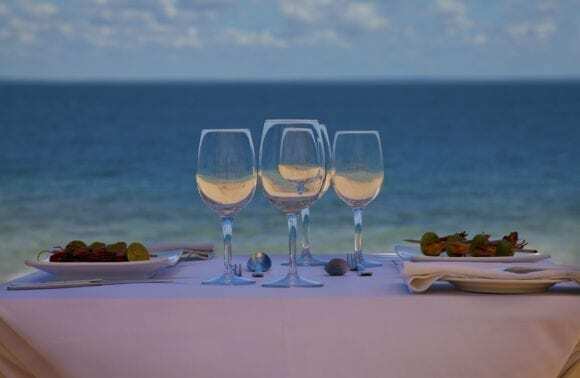 Normal meals, house wines, local spirits, soft drinks, water, tea and coffee are included in the rate. 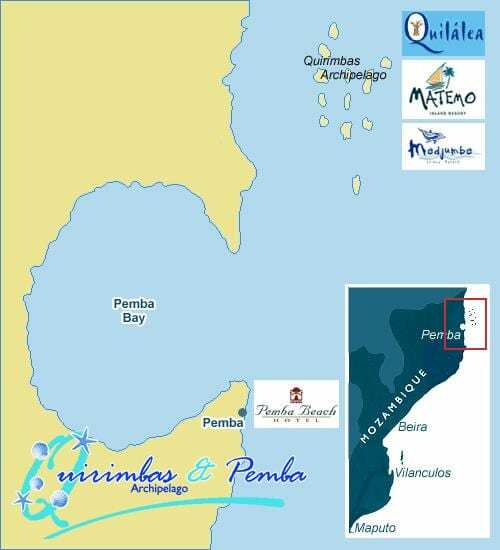 Closest major airport is Pemba, and there are regular flights from OR Tambo International Airport in Johannesburg with LAM & Airlink to Pemba. There is then a helicopter flight to Quilálea private island. 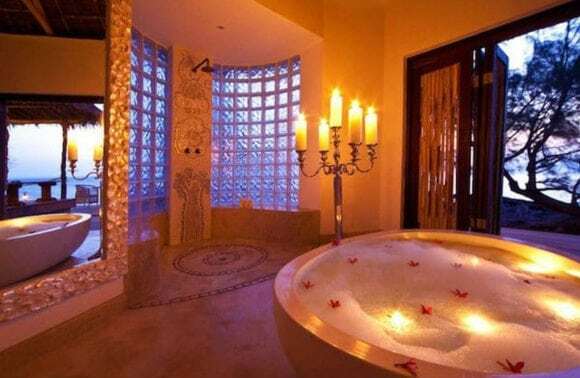 Azura at Quilálea uniquely African spa offers signature treatments based on local ingredients and traditions. These include being rubbed down with ground coconut shells, covered head to toe with tamarind and aloe, or gently massaged with warm marula oil. The Spa has a stunning location on the Island’s headland where there is a natural rock alcove with rhythmical splashing of the water at high tide to aid in the relaxation process. 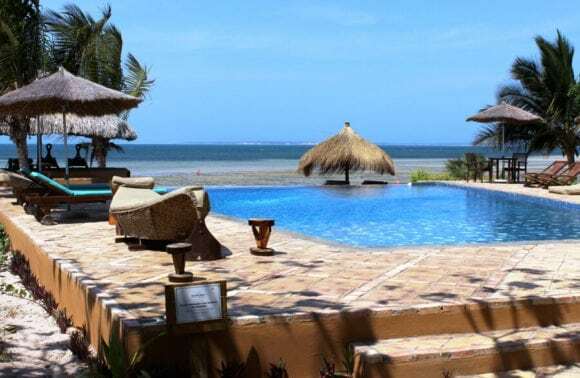 Children are welcome in the Kaskazi and Kusi Villas at Azura at Quilálea, and the marine paradise offers numerous possibilities for children and families. We ask that guest privacy always be respected, and younger children may be asked to dine earlier or in villa. Bathing suits, sunglasses, sunhat, sunscreen, torch, kikoys or wraps and shoes for the beach (that can get wet e.g. flip flops). Batteries or chargers for cameras, phones etc. we provide electrical converters. Flip-flops or sandals are useful for walking about during the day, and for beach dinners in the evenings. A lower heel/wedges in the evenings is also manageable as there are pathways to all villas. Please bring along any diving certification cards. 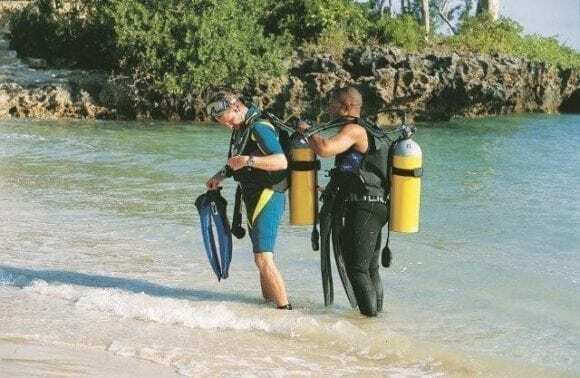 It is now possible to undertake the theory part of a PADI qualification on-line with the practical dives completed on site. Visas are required by all nationalities except South Africans. (approx. 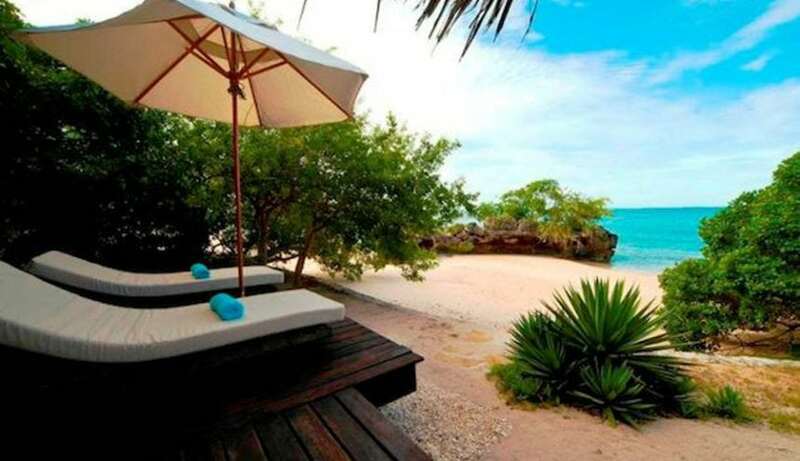 US$95) It is advisable to arrange visas before travel however they can sometimes be issued on arrival in Pemba. An Azura at Quilálea representative will be there to assist you when you arrive in Pemba airport. Please note that this is likely to be a local man with English as a foreign language. He assists guests everyday at the airport and knows the procedures and will make sure that you do the correct thing. Kindly have patience when communicating and know that you are in good hands, and be aware that procedures will not be as speedy as you may be used to elsewhere. Be prepared for luggage to be searched upon arrival at Pemba, and this might include hand luggage. It will also be searched upon departure, as they will check that you are not taking anything from the protected parks, like shells. Please pack soft bags only with a maximum 20kg including hand luggage. To take full advantage and enjoy everything on offer at Azura at Quilálea we recommend a minimum of 5 nights, preferably longer. Mozambique is a malarial area and suitable prophylactics are advised. Quilálea Island is considered a low risk malarial area as it does not have a local population or any natural standing water. Guests coming to Mozambique from countries that are known to be at risk of yellow fever (including Kenya, Tanzania, Congo and Angola) are now required to present vaccination certificates. Medical facilities locally are extremely limited. We stock basic first aid supplies and popular medications. Please bring any medication that may be required. Azura has Medivac Insurance from Pemba for medical emergencies. The Quirimbas National Park extends from just south of Quilálea, to just north of Rolas and Matemo Islands. A WWF study in 2007 concluded that Quilálea and its sister Sencar island were the only totally protected area in the park, and an important breeding and nesting ground for Olive Ridley, Green and Hawksbill Turtles. The turtles breed from August, nest from October to January, and hatch up until April each year. Humpback whales can also be seen from July to October.In the ocean surrounding Quilálea, there are near-pristine inshore and offshore coral reef; sea-grass beds, upon which the turtles feed; good stocks of pelagic fishes, and long stretches of sandy beaches, ideal for swimming, walking or just relaxing. Quilálea is home to ancient baobab groves, and a variety of flora and fauna, including a fascinating array of butterflies. Azura’s Rainbow Fund registered charity, the only one of its kind in Mozambique. 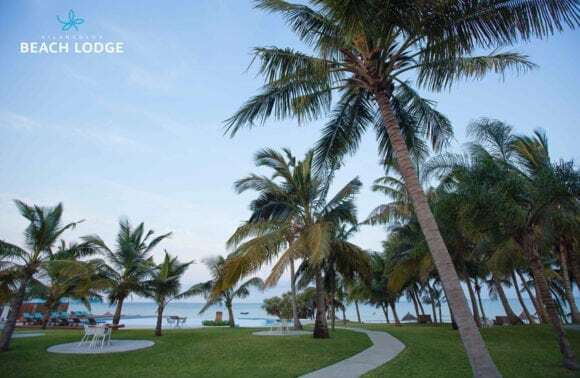 Will undertake a number of initiatives at Azura at Quilálea Private Island, including steps to further protect the pristine natural and marine environment, aided by the Eco energy control initiative. The Rainbow Fund also assists the nearby communities at Quissanga and Quirimba with donations and events like World Children’s Day. A discretionary donation of $10 per villa per night will be added to guest bills. Enjoy a magical sunset in a spectacular setting aboard our traditional sailing vessel or dhow, the “Doña Fatima”. Sail the Indian Ocean waters around the island of Quilálea and experience the beauty and tranquility of these historical vessels and the time-honoured method in which they are sailed. 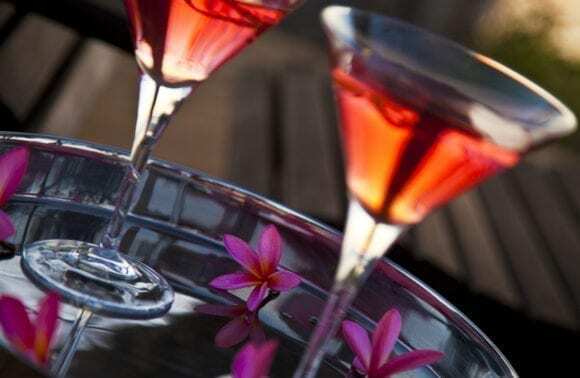 Cold beverages of your choice and light refreshments will be served while you enjoy the magnificent sunset. This activity is available at no extra charge. Comfortable clothing and a camera is advised. Bookings should be made in advance and are subject to weather conditions. 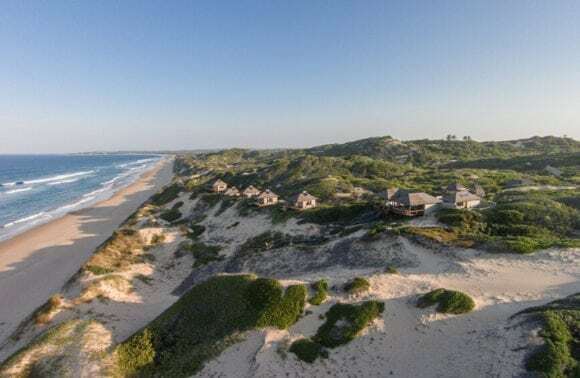 Quilálea offers a full range of superb Mozambique diving experiences, providing some of the best scuba diving in the entire Quirimbas Archipelago just 20 metres offshore. The marine pavilion, which looks west over the Quilálea Channel, is a fully equipped PADI dive centre. 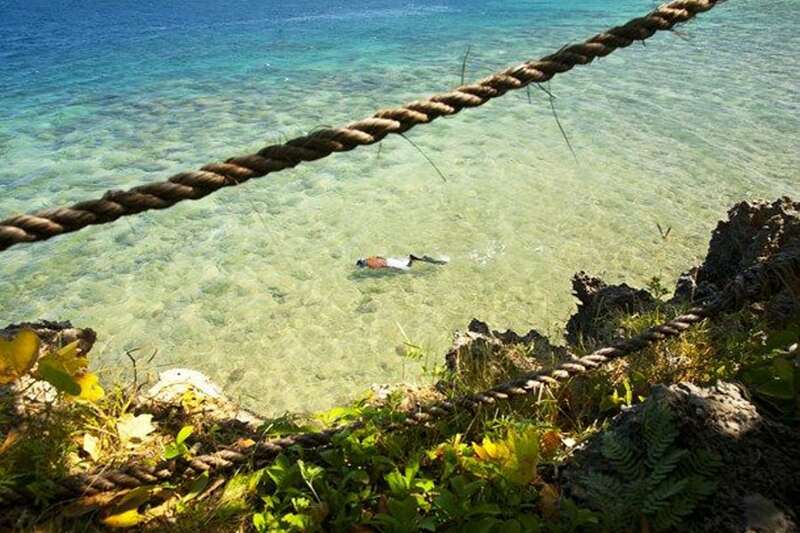 A reef just off the beach provides sheltered diving and snorkeling for the beginner. More experienced divers will want to explore the big walls of the Montepuez channel on the southern edge of the sanctuary. Caves and currents combine to create an underwater paradise, inhabited by reef and pelagic fish of every size and description. The most adventurous will head for the Saint Lazarus Bank, recognised as having the best unexplored diving in the world. 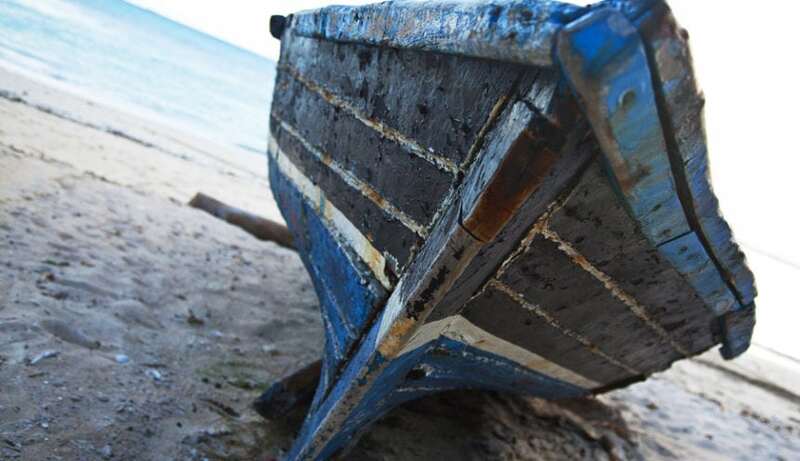 The dive boat used started life as a traditional Portuguese fishing vessel and has been remodeled. The wide afterdeck allows freedom of movement for whale watching or exploration of the bay. Mares diving equipment is maintained in top condition for use by guests and staff. 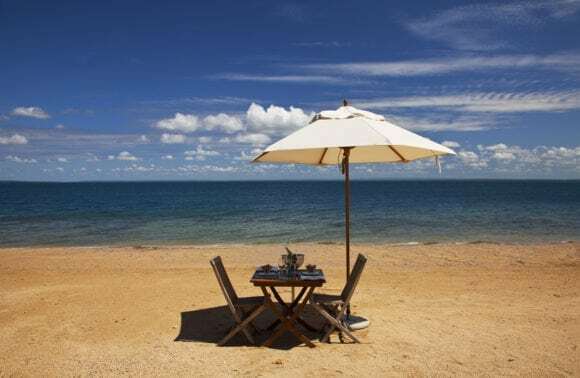 Mozambique diving offers up to 30-metre visibility and water temperatures around a balmy 28 degrees Celsius you can expect to see all coral reef species typical of the Indian Ocean region as well as game fish – yellow fin tuna, dogtooth tuna and marlin. There are also manta rays, eight species of shark (to date), whale sharks, huge schools of feeding barracuda, many species of king fish, red snappers, green and hawksbill turtles, pods of humpback dolphins, not to mention the humpbacked whales in season. Although Quilálea forms part of a marine sanctuary, sport fishing and deep-sea angling are offered outside the protected sanctuary. 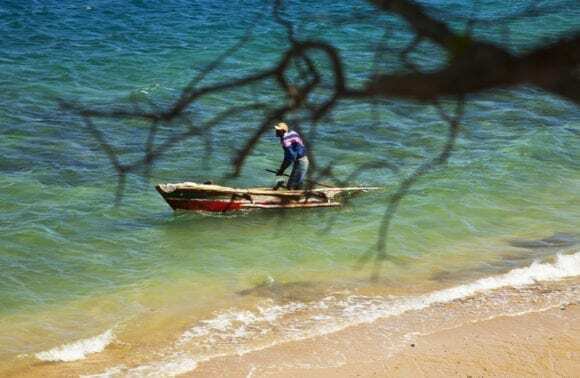 The experienced skipper and crew know all the hot spots, so novice and veteran anglers alike can enjoy Mozambique’s unspoilt fishing waters. A 30-foot Bertrams Express, powered by twin Volvo Penta diesel inboards, is available for use by big game fishermen. This vessel cruises comfortably at 18-20 knots. 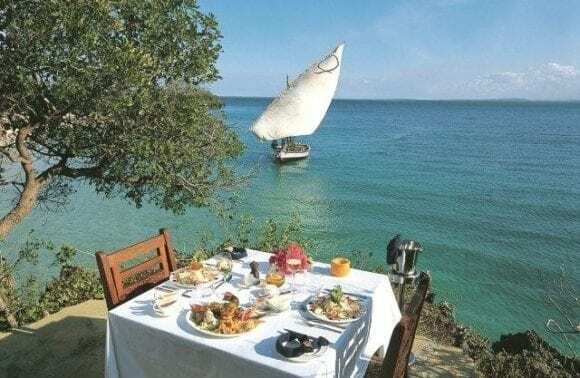 A local dhow is also available for those who prefer to cruise in silence and serenity. The wide variety of game fish species can be taken from the complex of habitats formed by the Quirimbas Archipelago itself, while the Saint Lazarus Bank due east of Quilálea is a hotspot for tuna and billfish. Both the Archipelago and the Bank have yet to be discovered by big game fishermen. The deep drop-off immediately to the east of the Quirimbas Archipelago guarantees a unique sports fishing experience. The Southern current passes near the coast here and billfish can be taken within shouting distance of shore; local fishermen sometimes catch them on hand lines trolled behind dugout canoes. The rods and reels available for use by guests are all Shimano; with lines ranging from 20 to 80 lbs. Six lines can be trawled from the Bertrams. Leaving Quilálea by boat, we will travel through the mangrove channels between the mainland and Quirimba Island. There is a good chance of spotting majestic fish eagles and also the shy humpback dolphin and dugong. A small passage through the mangrove reveals the island of Ibo. After anchoring in the port, the land adventure begins. The first stop is the imposing fortress of São João, which was used during the colonial period as a prison and to house slaves before transporting them to Ilha de Mozambique. Today, local artists at the fort produce fine handmade silver jewellery using traditional methods. Their work is of a high quality and unique to the island making a beautiful and original souvenir. After the fort, the tour heads inland to the town centre and market place. The many ruins and old Portuguese villas make excellent subjects for photographers and create a timeless and tranquil atmosphere. Opposite the market, there is the small fort of São Josè, which can also be explored. Heading along the coast, we come to the old Catholic church. This is definitely worth a visit, providing an insight to past inhabitants of Ibo. After the tour, you may continue to view the island at your leisure before returning to the boat for refreshments. We depart Ibo and head out around the seaward side of the island. If conditions are favourable you might participate in a spot of snorkelling along the shallow reef by the lighthouse or try your chance at big game fishing in the deeper waters of Quirimba before returning to Quilálea. This activity is a half-day tour and is dependant on the tides. Refreshments and either breakfast or lunch are supplied. You should bring comfortable shoes or sandals, sunscreen, hat, camera and local currency. (Please ask at reception for exchange rates). We will provide all fishing and snorkel equipment, towels and a guide. Tours to other islands are also offered, like Sencar, Quilálea’s neighbouring island, which remains untouched and uninhabited. 75 hectares in extent, Sencar has a coral rag exterior and a mangrove swamp interior. Sencar offers only rudimentary beaches, but it is a bird lover’s dream. A paradise for sea birds, the island has large areas of untouched coastal thicket. Samango monkeys have also made their homes here, though no one knows quite how they arrived there or how they survive in the absence of fresh water. 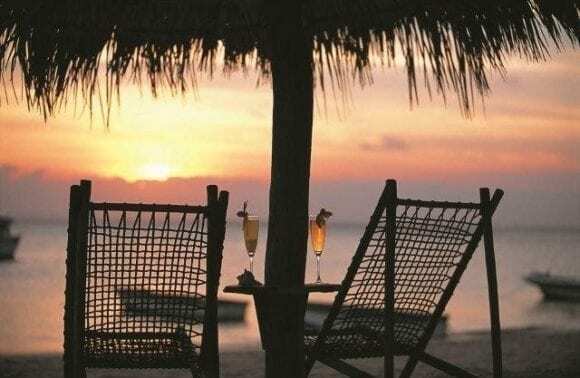 ‘My passengers had the most amazing time at Azura at Quilalea Island. They are still raving – said it was paradise, best holiday they have had in years. Snorkeling was the best and of course right in front of their villa! Just a quick note to thank you for all your wonderful arrangements for Azura Quilalea. We had a wonderful time, thanks to Mozambique GSA !!! The place is a snorkeler’s paradise and I’m glad to report that the reefs are more beautiful than ever. To crown it all, we were upgraded for three nights to Villa Quilalea and we spotted Humpback whales on our second last morning. Within seconds, breakfast was abandoned and we were on a dive boat. I’ve seen whales before, but NEVER been that close to them. You now have an unofficial agent in Durban. Quilalea from Schalk Theron on Vimeo.